Christmas just isn’t Christmas until I’ve made my famous homemade toffee. It’s gotten to the point where if I don’t make it and hand it out as gifts, my neighbors ask if everything is okay at my house. It really is that good, but it takes enough butter that I only make it once a year. It’s my favorite quick, homemade Christmas neighbor gift. 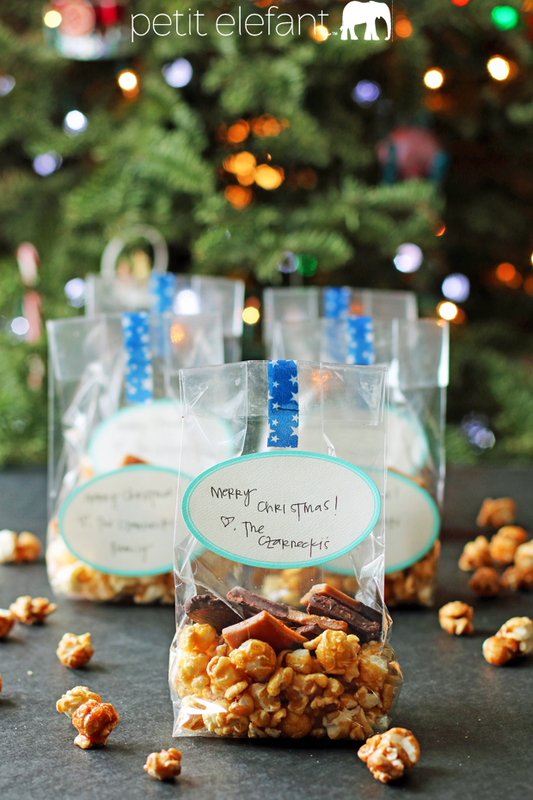 And this year I added caramel popcorn for something a little extra delicious. Use my homemade toffee recipe to make as many batches of toffee as you need. One batch makes about 1 pound of candy, so I make about 3-4 batches to have enough for about 15 neighbor gifts. This year I added caramel popcorn to the treat bag. It not only adds extra deliciousness, it also fills out the bag so the homemade toffee goes a little further. 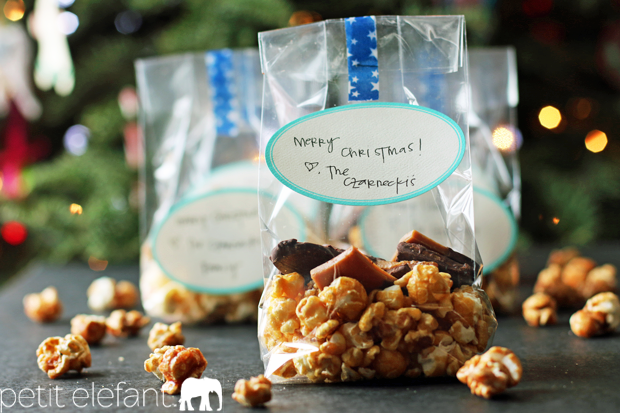 I got about 20 neighbor gifts out of 3 batches of toffee after I added popcorn. Using any labels you want (I used Martha Stewart labels from an office store) write out your Christmas / holiday message. Stick label to a cellophane bag before filling. 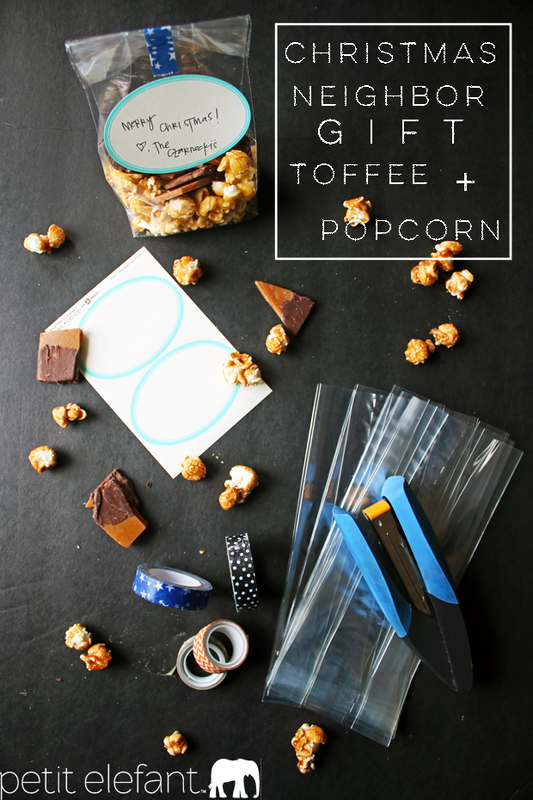 Fill bag with popcorn first, then add a handful of toffee pieces. Fold the top of the bag over and staple in the middle. 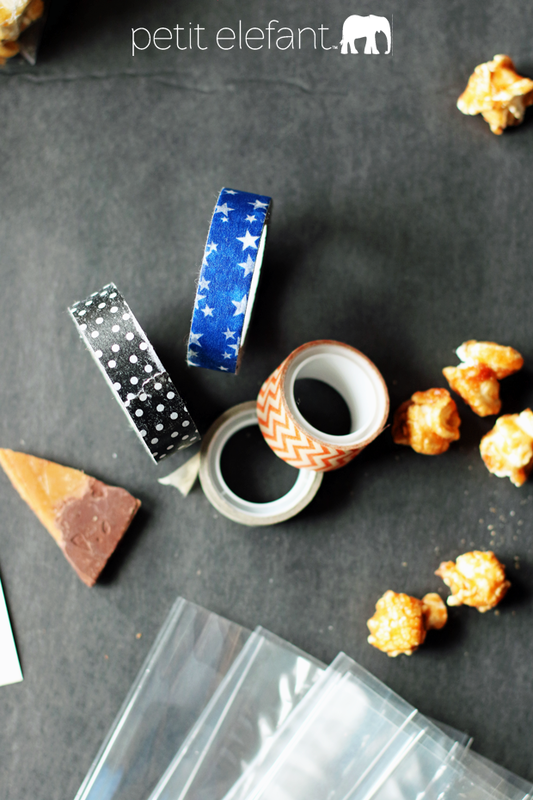 For a little extra pizzazz, add a strip of washi tape down the middle of the bag. It will not only add some color, you’ll cover up the staple. BOOM. Deliver to happy, delighted neighbors. There you go. 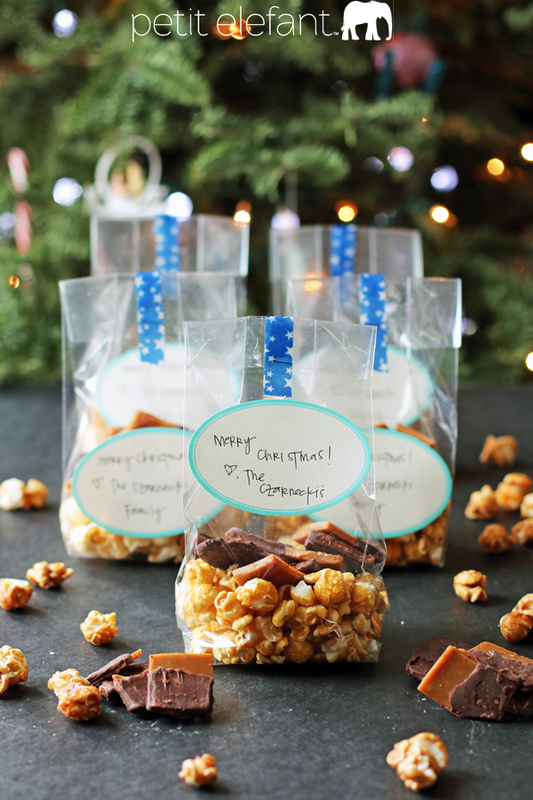 Deliver a little bit of handmade, homemade goodness to the people you love this Christmas!